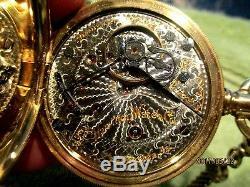 23 Jewel 18 size Pocket watch Grade 946 lever set full plate White Porcelain dial with sub second register at 6: o'clock black Arabic numeral markers with Red Arabic minute marker Sub Second register at 6 o'clock. 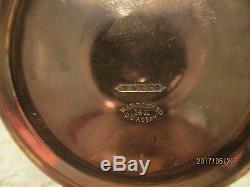 Serial number 442124 dating it to 1904. 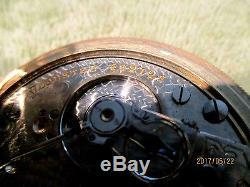 Watch is running and keeps excellent time. 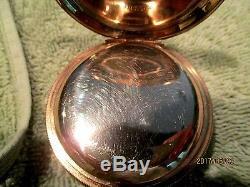 Dial and crystal are in wonderful condition, side of case has a few small dents, see last photo, these could be easily fixed by a jeweler. 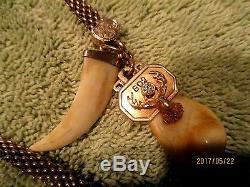 Chain is gold plated with a Elk tooth and Boar tusk FOB, Elk tooth is marked 14K gold with a small Diamond. 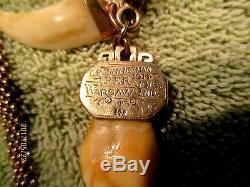 Fob is also marked with the lodge 802, which is located in Warsaw Indiana. 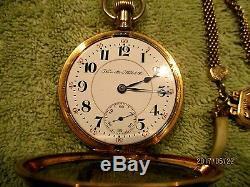 Also on the chain is the past owner of the watch C.
The item "Antique Hamilton Railroad Pocket Watch 946 14K Case" is in sale since Thursday, May 25, 2017. 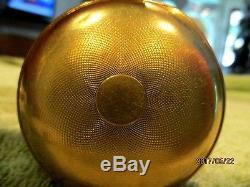 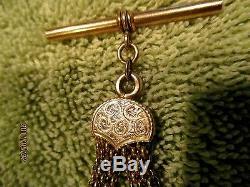 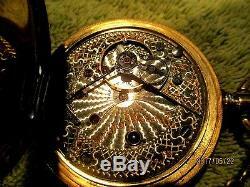 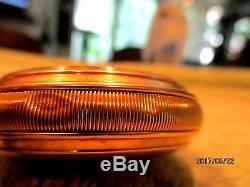 This item is in the category "Jewelry & Watches\Watches, Parts & Accessories\Pocket Watches\Antique"." 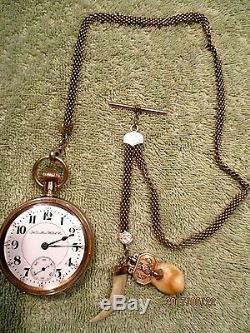 and is located in Spring, Texas.